Energetic, intense, beat driven energy-filled electronic royalty-free music with powerful edgy bass, guitar riffs, and aggressive buildups. Energetic, intense, and beat-driven hard dance / electro house instrumental royalty-free music track with edgy bass, distorted guitar riffs, and powerful buildups. Clean edit points allow for easy editing. Uptempo and energy-filled, this energetic royalty-free music is a good complement for video and multimedia related to action, extreme sports, workout, and success. The download also includes 6 complementary loops in WAV format to let you create a customized version of the track if needed. Client Spotlight: See How Duotech Uses Community Video and Energetic Royalty Free Music For YouTube Video Marketing - Real-life video marketing examples: In this video, Duotech Services, an engineering solutions provider shares a community video promoting an annual charity event hosted by the company. The background music is Crank Me Up. 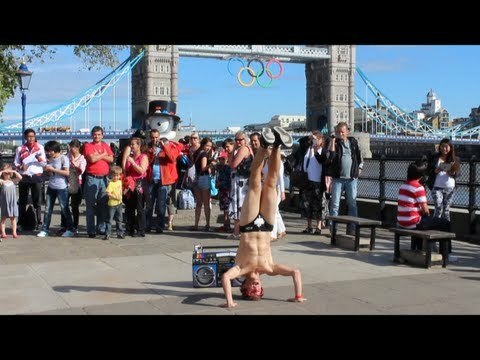 Client Spotlight: See How International Entertainer Spandy Andy Uses Royalty Free Music To Promote His Performace - See Spandy Andy, an internationally renowned entertainer and street dancer, promotes his London street performances on YouTube. The background music is customized version of Crank Me Up. Save over 25% on some of the most popular royalty free music tracks from 5 different music categories. Video Marketing Diversity Music Bundle includes only the best selling tracks, one from each of the following music genres: Corporate, Happy, Energetic, Electronica, and Inspirational. Used it for high school announcements videos this year, boss track, gets everyone pumped.